There were plenty of winners and losers this week, with the world's top travel portal keeps an analyst-thumping streak alive and the top dog in single-serve coffee brewing fails to gain traction with its new brewer. The leading online travel portal kept an impressive streak going this week, beating analyst profit forecasts. 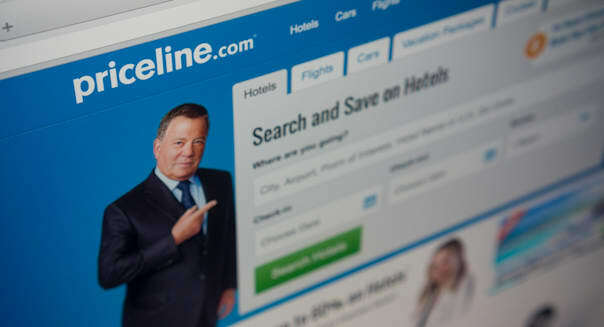 Priceline has landed ahead of Wall Street pros on the bottom line for 21 consecutive quarters. This doesn't mean that Priceline's report was well received by the market. In fact, the stock slipped on lukewarm guidance. However, consistently besting analyst targets is something that deserves to be applauded. One of the hottest restaurant IPOs of 2013 continues to be a wet noodle in 2015. Shares of Noodles & Co. hit a new 52-week low after another uninspiring quarterly report. The chain of fast-casual eateries specializing in its namesake noodles is warning that earnings will fall flat in 2015, off from its earlier target of 20 percent growth. This is the second year in a row that profit growth will be nonexistent. That certainly wasn't what investors were bargaining for when they hopped on to the stock after a scintillating start two summers ago. Pandora investors can breathe easier. The leading music streaming platform emerged victorious in a music royalties lawsuit. The Second U.S. Circuit Court of Appeals shot down efforts by music industry royalty collector ASCAP to get Pandora to pay more to license its music in a deal that also could have gnawed away at Pandora's digital catalog. Pandora isn't out of the woods just yet. High music royalties that terrestrial radio stations don't have to pay remain a barrier to consistent profitability. Monetization and competitive challenges also remain. However, for shareholders who have suffered through a stock that has shed more than half of its value since peaking early last year, it's a welcome break. Things aren't brewing the way that the company behind Keurig single-cup coffee machines was expecting. Keurig saw its year-over-year sales growth inch just 2 percent higher in its latest quarter, and the big culprit is the Keurig 2.0 machines that scan K-Cup portion packs to only brew those licensed by the company. The backlash resulted in a 22 percent plunge in brewer sales, and while that was offset by a 7 percent uptick in sales of K-Cup portion packs, it doesn't bode well for the company if it can't get new customers to trust its java-brewing platform. Better late than never, Lumber Liquidators. The struggling flooring retailer announced this week that it will stop selling wood laminates from China. The chain's booming business was decimated after a "60 Minutes" report called into question the safety and product quality of its China-sourced merchandise. Lumber Liquidators defended its business, but customers bailed. Comparable-store sales plunged nearly 18 percent in March relative to the same month a year earlier. Halting the imports will help ease concerns of potential shoppers. It also helps that the problem may not be as widespread as some have feared. Lumber Liquidators has been offering its customers free inspections and lab kits, and less than 3 percent of the homes tested have fallen outside of the protective guidelines set by the World Health Organization for formaldehyde levels in indoor air. Obviously, anything north of zero percent is a problem, but at least we can now start to quantify the liability as Lumber Liquidators takes the risk off the table from future orders. Motley Fool contributor Rick Munarriz owns shares of Keurig Green Mountain. The Motley Fool recommends Keurig Green Mountain, Lumber Liquidators, Pandora Media and Priceline Group. The Motley Fool owns shares of Lumber Liquidators, Pandora Media and Priceline Group. Try any of our Foolish newsletter services free for 30 days. Looking for a winner for your portfolio? Check out The Motley Fool's one great stock to buy for 2015 and beyond.